Exercise Can Help Combat Sleepless Nights! For many of us, especially women, getting a good night's sleep is a luxury. From careers, to kids, to social and family events, life comes first, sleep comes last. Throw biology into the mix -- like a woman's menstrual cycle -- and insomnia becomes even more common. Sleep problems can make it even harder to get the recommended 7.5 to 8 hours of shut-eye necessary to perform your best. Do lifestyle changes such as -10,000 Steps Program for exercise help combat insomnia? Exercise, especially -Aerobic Exercise, has long been assumed to improve sleep. Scientists at Northwestern University say sleep problems affect millions of adults, who could likely improve their quality of sleep, vitality, and mood with regular aerobic exercise. The researchers say the study is the first to examine the effect of aerobic exercise on insomnia in middle-aged and older adults. About 50% of people middle-aged and older complain of symptoms of chronic insomnia. Investigators studied 23 sedentary adults, mostly women aged 55 years and older, who had a hard time falling asleep or staying asleep and also reported impaired daytime functioning. The participants were randomly placed in one of two groups. One group exercised for two 20-minute sessions four times a week and the other did a 30-40 minute workout four times a week. This went on in both groups for 16 weeks, with participants exercising to 75% of their maximum heart rate on at least two activities, such as riding a stationary bicycle or walking on a treadmill. In a control group, participants didn’t exert themselves physically but only mentally, taking part in recreational or educational activities, such as attending a cooking class or listening to a museum lecture. This group met for about 45 minutes, three to five times a weeks, also for 16 weeks. Researchers say the participants who exercised reported that their sleep quality improved, raising their diagnosis from poor to good sleeper. They also reported fewer depressive symptoms, more vitality, and less sleepiness in the daytime. This is just one more reason to live a healthy life with good eating and regular exercise as the staple. If you are interested in improving your quality of life, join us today! Lose weight, gain confidence and be healthy with a personalized program and the ongoing support of Step Ahead's expert team, including a physician, certified fitness trainer, and certified nutritionist. We now accept health insurance! Stand up paddle boarding (SUP) is becoming more popular each year. Hawaiians have been using it for years as a means to keep fit when the waves are not adequate for surfing. By using a paddle board surfers were able to enjoy the water and obtain some exercise simultaneously. 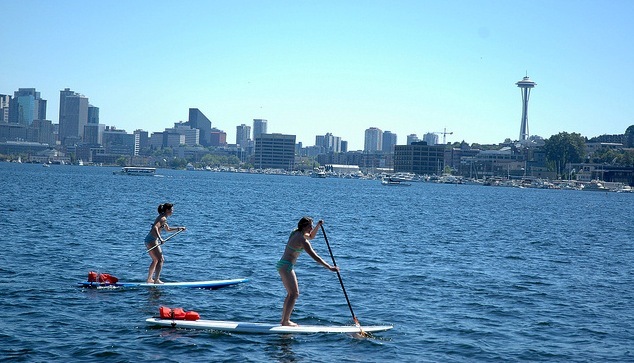 In the last several years millions of people have begun to enjoy paddle boarding, while standing. People now engage in stand-up paddling to enjoy the water, spend time with friends, and to improve their fitness level. SUP can provide you with a very good overall workout. You will make use of balance and strength in order to remain upright and propel yourself in the water. The level of intensity you will experience will be variable and be dependent on your venue. If you are paddling in the ocean and there are a lot of waves and an ocean current, your workout will be intense. If you are simply drifting in relatively placid waters, it will not be so hard-core. Paddle boarding will provide you with a great core workout as well. Almost every muscle in the body is used at some point. A large part of SUP is balance. Your leg muscles will be hard at work attempting to maintain your balance. In addition, paddling utilizes the arms, back, and shoulders to propel the paddleboard in the water. The core back and abdominal muscles are constantly at work to maintain your balance. An additional benefit that SUP provides is that it is a very low impact exercise. Therefore, it is unlikely that you will do damage to the tendons and ligaments of your joints. If you lift weights in the gym or you engage in high impact sports, then your likelihood of injury is far higher than with stand-up paddling. SUP is particularly useful for runners that are experiencing shin splints or knee and hip pain. With this type of sport it is possible to use up a lot of calories without damaging your joints. One of the clear benefits of SUP is the very fast and obvious improvement of the fitness level of its practitioners. It is a very good sport to engage in if you are cross-training since it uses almost all the muscles in the body. SUP is a form of simultaneous aerobic and strength training. There are numerous health benefits to paddle surfing and the best part is it will not cause any damage to your body while you enjoy them. The cardiovascular benefits are truly amazing. You will be able to substantially improve your level of cardio fitness. Of course this translates into many benefits for your body, including a decreased incidence of heart attack and stroke. In addition, you are going to consume a lot of calories. This will likely translate into a loss of weight. Most of us are aware of all of the adverse conditions that are associated with being overweight. You will reduce your chances of getting diabetes, heart attack, stroke, and joint problems by reducing your weight, and SUP can help you accomplish this. There is one more great benefit to be aware of… it is very relaxing and a great way to relieve stress. Stress, has countless adverse health consequences and negative effects on the body. I have personally found that stand-up paddling has always been an excellent stress coping method for me. Once I get out on the water and start paddling, I can literally feel my body and mind relaxing as I get into the paddling rhythm. Many activities and sports require good balance. SUP will definitely improve your sense of balance as you try to stay upright while paddling. For instance, what football player could not improve his game with better balance? You may fall a lot when your first start out, but if you keep at it your overall core balance will great improve. This sport is a very good alternative for people who have difficulty or fear of surfing. You may have friends that surf, and you want to join the fun, but you are unable to. With SUP, you can still get out there and catch the waves and enjoy the surf with your friends. Or you may have some health issues that make it difficult for you to surf. Once again SUP is a great alternative. Recently there are numerous people that are experiencing a new fitness activity to do on their boards. They are practicing yoga while paddle boarding. Performing yoga while on a paddleboard adds an extra dimension of balance to the activity. This can be a lot of fun as well as very challenging for someone who is already an experienced practitioner of yoga. In addition the ambiance that is associated with paddle boarding is far more pleasant and relaxing than being in a cramped gym or fitness studio. The sun and water will enhance the experience greatly. A lot of individuals are undecided about purchasing a stand-up paddleboard, however, once they become aware of all the benefits and joys that it has to offer, they may be prompted to give it a try. Lose weight and gain confidence with a personalizedprogram and the ongoing support of Step Ahead's expert team, including a physician, certified fitness trainer, and certified nutritionist. 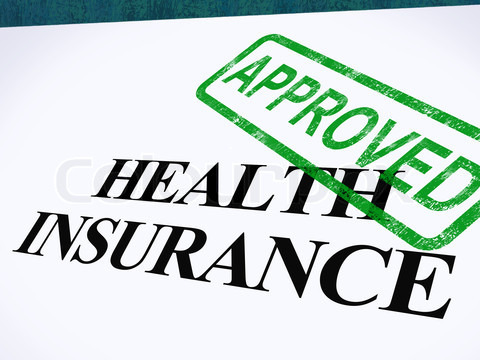 We now accept health insurance! Many people exercise to look better – to improve body composition and control weight, but the other health benefits of exercise are motivating factors as we approach middle-age – for good reason. According to a recent study, exercise is “good medicine” for keeping common chronic health problems at bay as we age. After all, what good is it to look “hot” in a pair of jeans if you’re not healthy? In a study published in the Archives of Internal Medicine, researchers looked at Medicare claims for 18,670 participants, both men and women, over a 26-year period. This group of people had undergone treadmill fitness testing during middle-age, around the age of 50. After adjusting for factors like blood pressure, body mass index, alcohol use and smoking history, they discovered the most fit participants, as measured by their treadmill test, had a lower risk for developing eight medical conditions – heart disease, emphysema, stroke, type 2 diabetes, kidney disease, Alzheimer’s disease, lung cancer and colon cancer over a 26-year period. That’s a lot of prevention! Although this study doesn’t necessarily show cause and effect, it does suggest that staying fit is a simple and medication-free way to potentially reduce the risk of the most chronic health problems that rob people of their ability to fully enjoy life as they age. According to a 1993 study published in the New England Journal of Medicine, an inactive or sedentary lifestyle is a contributing factor in 23% of deaths due to chronic disease. Pretty sobering, huh? Did you know that half of all women over the age of 50 and a quarter of all men will have an osteoporosis-related fracture at some point during their life? 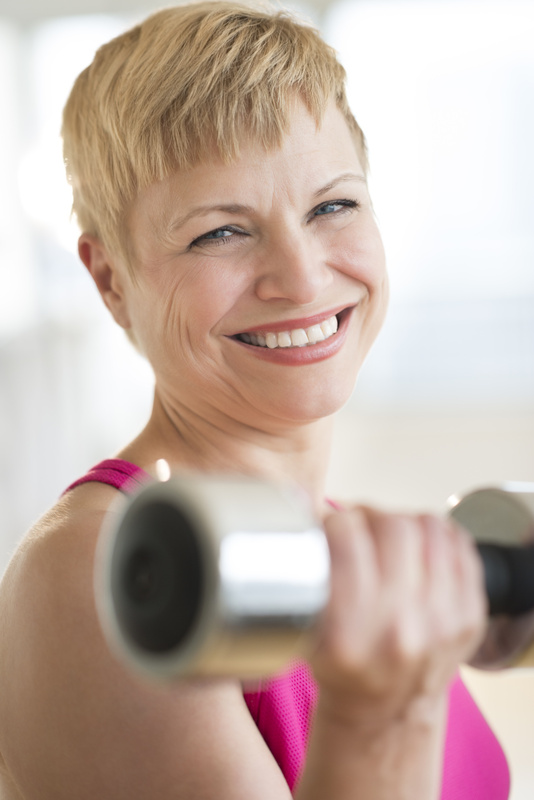 High-impact exercise and resistance training help to build stronger bones and reduce the risk of osteoporosis. 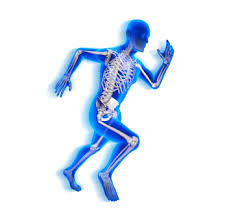 The simple act of muscle moving bone, as when lifting a weight, stimulates bone-producing cells called osteoblasts to churn out more bone tissue to reinforce and protect your bones. Combine that with a calcium-rich diet and adequate amounts of vitamin D and you have a head start at preventing bone loss with age. What about joint health? By the age of 65, about two-thirds of people have osteoarthritis on x-ray, although not everyone has symptoms. Weak quadriceps muscles increase the risk for knee osteoarthritis. The good news? Strengthening your quadriceps muscles through resistance training helps to prevent osteoarthritis of the knee. Plus, it helps with weight control. Being overweight or obese puts greater stress on joints, causing more loss of cartilage – not to mention resistance training helps to preserve lean body mass with age. Why is that important? There’s an epidemic of sarcopenia among older people. Sarcopenia is the serious age-related loss of muscle mass that puts older people at risk for frailty, falls and disability. Strength-training helps to combat this problem. Exercise reduces stress and anxiety and may help to prevent depression. It even helps to ward off age-related memory loss and those “senior moments” that become more common after middle-age. One way it does this is by increasing the volume of a portion of the brain called the hippocampus that’s linked with memory and cognitive function. The hippocampus normally shrinks with age, and exercise, primarily aerobic exercise, reduces hippocampal shrinkage. Aerobic exercise boosts the volume of this portion of the brain even in people who begin exercising later in life. Just goes to show, it’s never too late to get the benefits of exercise. Who doesn’t want to stay healthy as they age? Exercise and a healthy diet are two of your best defenses against age-related diseases – and it’s never too late to start. Start by walking utilizing the -10,000 Steps Program each and every day. The more you move the more movement your body will crave. For more great fitness tips, contact our fitness director/certified personal trainer, Noelle Lusardi, at noelle@stepaheadwellnesscenter.com. ose weight and gain confidence with a personalizedprogram and the ongoing support of Step Ahead's expert team, including a physician, certified fitness trainer, and certified nutritionist. We now accept health insurance! In a recent article in the Lancet, Feb., 2015 edition, leaders in obesity research and treatment ; Doctors Ochner, Tsai, Kushner and Thomas Wadden, reported that treating obesity is unlikely to be successful with diet and lifestyle modifications alone. The have found that there are many BIOLOGICAL factors that contribute to the failure of many obese patients to succeed with the long held protocol of lower calories and more exercise. The authors have found that there are biological factors that are tend to make obesity a more challenging problem to treat and successfully overcome. First, there is the fact that with obesity comes an increase in adipose cells(fat cells) and there is a perpetual pull for the body, no matter how much weight may be lost, to return to a “stamped in” weight. There is a pull for the body to refill the adipose cells and it is drawn to the highest weight that it ever attained, and even sometimes a higher weight then previous seen. Also, there are factors in the CNS, or dopamine pathways, that lead to a heightened sense of deprivation and lack of satisfaction. The obese individual is constantly reminded that they are in a “reward deprivation” state and are more prone to over consume foods to reward themselves. The use of appetite suppressants – these may help short term but in the obese individual, they may need to be used over time for maintenance as well. The can help stop some of the cravings and some of the impulses that are driving patients to eat to feel satisfied. What is GROUND BREAKING about this article is that these well renowned medical professionals are educating the public in regards to treating weight loss and to increase awareness that obesity needs to be treated as a disease with true biological and hormonal changes that need to be addressed throughout one’s life. Visit Step Ahead Wellness Center to see what we are doing to help overcome obesity. So you've lost the weight, and you're feeling great, but are you ready for the next challenge, keeping it off? Staying consistent with your exercise routine, especially weight training exercise, might be the key to your continued success. A new study shows that consistent exercise can alter the body's response to weight loss and potentially stop unwanted pounds from creeping back on. The study was published in Medicine & Science in Sports & Exercise and offers good news about exercise and body weight. Most Registered Dietitians will agree that to lose weight, you must reduce calories, whether you exericse or not. Take in fewer calories than your body burns and you will lose weight. The general rule of thumb is create a 500 calorie deficit in calories in vs calories out to lose on average 1 to 2 pounds per week. Unfortunately, as you get smaller your body burns less calories because there is less of you. So after losing weight, your body burns fewer calories througout the day than it did before, because you have less body mass using energy. Fitness Training becomes imperitive during this stage of the journey. Researchers at the University of Alabama at Birmingham decided to closely study the effects of exercise during that pivotal time just after someone reaches their goal weight. They began by recruiting about 100 overweight, sedentary women, all of whom agreed to undertake a strict diet of only 800 calories a day. The group was divided into thirds. One third of the women were asked not to exercise at all. Another third began a supervised cardio program consisting of about 40 minutes of walking/jogging on a treadmill three times a week. The final third started supervised weight training three times per week. Each woman, regardless of the group she was in, stayed on the 800 calorie diet until she lost 25 pounds. At that point, she continued to follow the exercise instructions and transitioned for a month to a customized, supervised diet designed for maintenance. The findings... women in the non-exercise group didn't move much at all throughout their days. The women who did cardio exercise continued moving throughout their days so the calories they burned outside of exercise was significant. However the women who weight trained moved the most, movement felt easier for them and their bodies continued burning through calories more efficiently. Overall, the data suggests exercise, particularly weight training, after weight loss prompts people to move more throughout the day thus burning more calories, and with some discipline about food intake, should stave off weight gain. It seems clear that weight training has a positive effect on weight management overall. Lose weight and gain confidence with a personalized program and the ongoing support of Step Ahead's expert team, including a physician, certified trainer, and certified nutritionist. Fix-it trick: To maintain your weight loss this winter, you must keep moving! When University of Colorado researchers studied a group of 12 women and six men in both summer and winter, they discovered that their production of ATLPL, a chemical that promotes fat storage, almost doubled during the winter and dropped during the summer. But you're not doomed to don fat pants all season, scientists say. Exercise may increase SMLPL, the muscle enzyme that promotes the burning of fat, to offset the pudge-promoting effects of ATLPL. "We found that people who are normally physically active are more protected from weight gain," says study author Robert E. Eckel, MD. Get in at least 30 minutes of exercise on most days, whether it's Spinning, snowshoeing, or building a snowman. Make your new year's health resolutions come true. Learn about Step Ahead Wellness Center's personalized weight loss programs created by a medical doctor, registered dietitian, and certified personal trainer. Obesity has been recognized as a disease and we are formally able to submit claims with this diagnosis code. Changes in health insurance delivery have amended most insurance policies to cover some aspect of weight loss programs for those who qualify. Because of these changes, the doctor related office visits for weight loss supervision, if applicable, will be able to be submitted through your current insurance program. ** There will be some minor administrative fees if you are receiving appetite suppressants or other supplements but we will be able to submit the visits for you.If you are participating in the OPTIFAST Program, the meal replacements (bars, shakes and soups) are not covered under insurance and will still be offered at the same price (you will only be paying for the goods).Also, consultations with our dietitian will also be able to be covered under most insurance programs. We are very excited about these changes and hope to be able to bring our established, supportive and successful program to many individuals with less out of pocket expense. At the same time, many of our programs will help you qualify for discounts in your out of pocket costs for health insurance(there are many incentives to reduce costs with lifestyle modifications).In the next month, please visit our website for updates relating to changes in programs we are offering. There have also been new appetite suppressants that have been approved in the past few months that we are also rolling out with great enthusiasm. *please check with our office prior, we participate with MOST insurance programs. 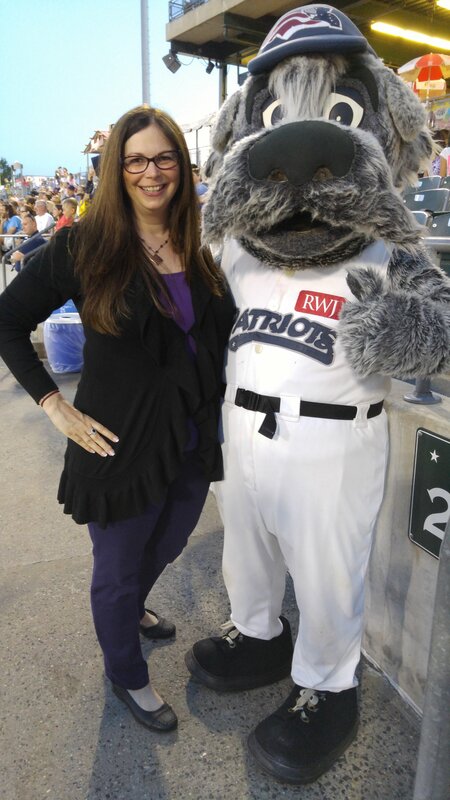 ** please check with your insurance provider to make sure you do have coverage for weight loss related programs.